Having visited both Los Angeles and Las Vegas on a road trip through the American west, Billie Hakansson and her father Mark here embark on the final stage of their tour, along Highway 1 on route to San Francisco. We began our adventure in Santa Barbara, a beautiful seaside location filled with Spanish colonial inheritance, history and influence. You can really see why the rich and the beautiful have snapped up their holiday homes just down the road in Montecito. We arrived at the stunning beachfront Hyatt Centric Santa Barbara Hotel, checked in, opened a lovely bottle of wine and sat on our balcony looking over the water, deciding what to do with our evening. It was hard not to fall completely in love with this gorgeous Californian city. We decided to try out the Urban Wine Trail which has become one of Santa Barbara’s top attractions. Santa Barbara County has more than 200 wineries but, with a whole host of them based just down the road in Santa Barbara’s Funk Zone, we decided to walk down and try out a few. It was fantastic to sit back and sip, learning all about the wine, where it came from and why each was different to the next. We even found out that Pink (the pop singer) owns a vineyard in the Santa Barbara hills. Wandering through the Funk Zone, we ended up on Stearns Wharf watching the sunset. 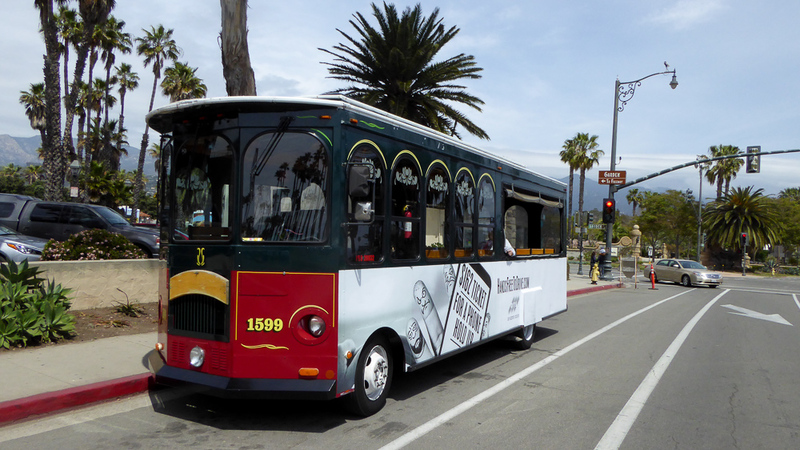 In the morning it was up and out early for our 11:00 Santa Barbara Trolley Tour, a 90 minute tour that takes the rider to all the amazing spots in the city. It is hop-on and hop-off so we were able to enjoy the sights before jumping off to grab a coffee and a spot of lunch. Our final stop before jumping in the car and making our way along Highway 1 was Santa Barbara Zoo. I am a huge animal lover so this was a perfect way to finish off our time and I was so impressed with the variety of animals and how well they were looked after. It was definitely a highlight for me. The next morning, just as the heavens opened, we jumped into our car and began to make our way up Highway 1, the most beautiful and famous of the coastal roads in North America. Renowned for its beauty and views, we headed north towards San Simeon in the rain, with the visibility so bad it became hard to see the cars in front, let alone the stunning scenery! We pulled up into our motel for the night and hoped it would stop by the morning. We were in luck and woke up to beautiful blue skies and headed to the infamous Hearst Castle. It’s was hard to imagine the exquisite grandeur that lay ahead as we spied the very tips of the castle from the winding coastal road glistening in the sunshine. Once aboard the small tour bus we are guided up the rolling hills towards the castle, just as Mr Hearst’s guests would have done. 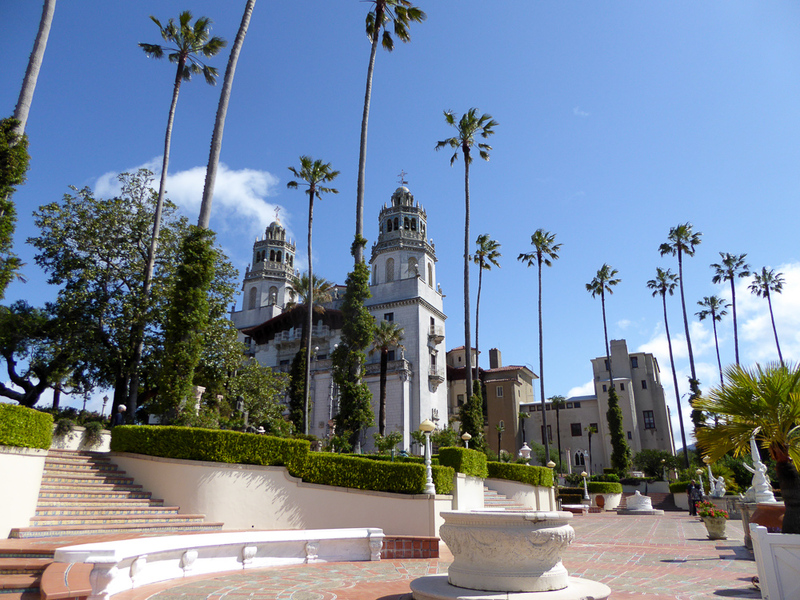 The tour-proper begins through the impressive Hearst Castle Gardens; a myriad of exotic trees, stunning sculptures and beautiful blooming flowers. Inside is a maze of European art, trinkets and exquisite architecture. It really feels like stepping into Jay Gatsby’s extraordinary house on West Egg and it’s so easy to imagine the extravagant party guests dancing and drinking throughout the rooms of this spectacular castle. We left Hearst Castle and were on back on the road. We had to head back the way we came along Highway 1 due to the devastating mudslide at Big Sur earlier this year. http://www.visitsanluisobispocounty.com/getting-here#current” target=“_blank”>San Luis Obispo County website. However, the new route meant we could have lunch at the infamous Madonna Inn. 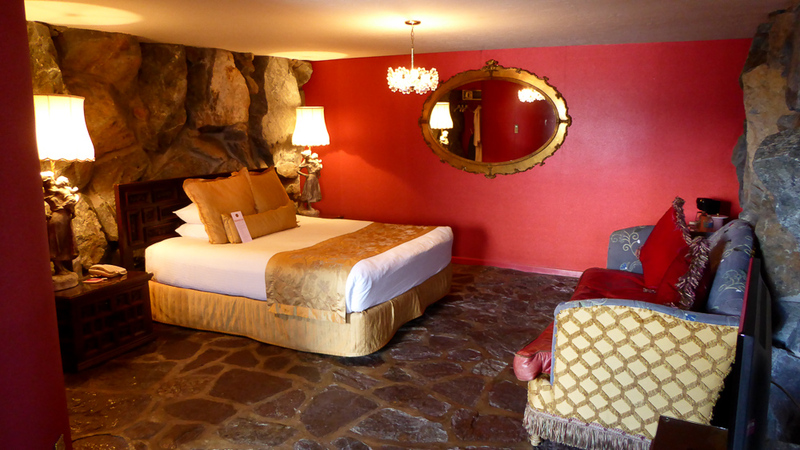 This enchantingly kitsch hotel boasts a menagerie of rooms, each with a different and wonderful theme. We were lucky enough to be shown a few by the general manager: The Austrian Suite, Swiss Rock and Daisy Mae. The most famous are the rock rooms, embedded into real rock. Here guests snooze sweetly, surrounded by the bare rock face, and the especially impressive waterfall showers are definitely one to have a go in! It really is a magical place and it’s easy to understand why it has become the infamous holiday destination it has, not only for those travelling from abroad but also from interstate. 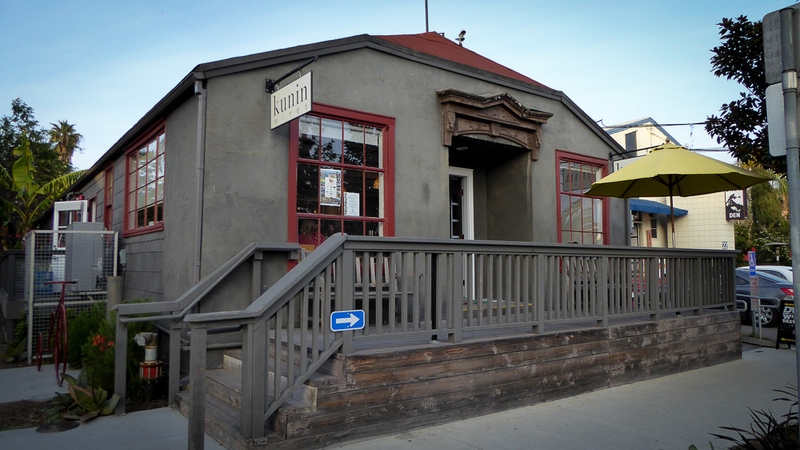 After a fantastic lunch in the Copper Cafe we began our next journey towards Santa Cruz, with a pit stop in Carmel-by-the-sea, a gorgeous small seaside town with winding streets full of character and charm. 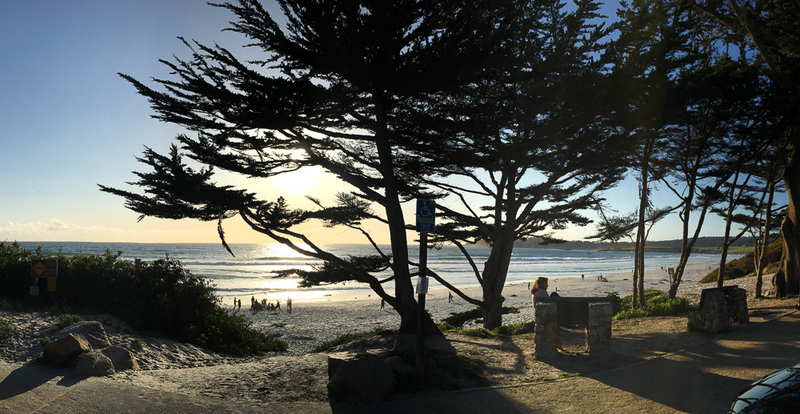 We stopped at Carmel Bakery for a slice of apple pie before watching the sun go down across the water. The next morning we made our way through Santa Cruz before finishing up in our very last spot: San Francisco. The weather was glorious and we walked along the promenade. While waiting for the rides to open we popped into the arcade to try our luck at winning some toys and grabbed an early morning ice cream. At 11:00 the Boardwalk opened and queues were already forming for the big rides. Dad and I decided on The Big Dipper which first opened in 1924 and still thrills to this day! 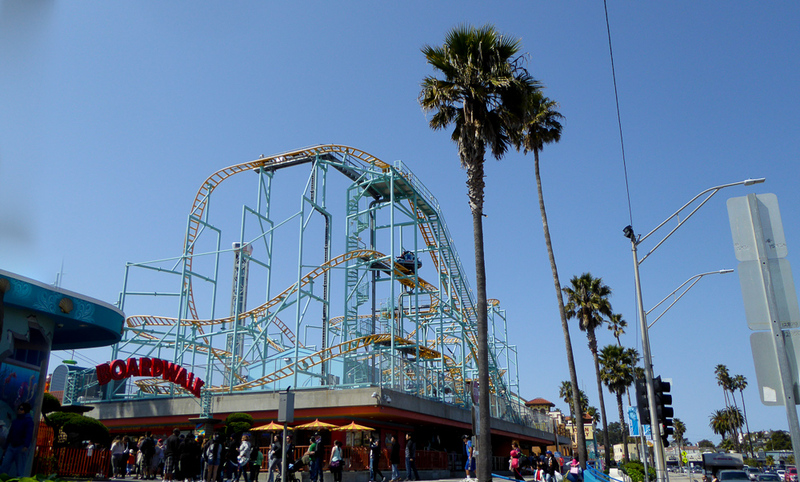 The traditional red and white wooden ride is a fantastic landmark to Santa Cruz and as we rose to the top of the dip we could see the view across the sand and out to sea. After The Big Dipper we began the final stretch, the last hour drive to San Francisco. We were staying at the Vertigo Hotel, the very same hotel that in Hitchcock’s 1958 thriller of the same name was used as the location for Judy Barton’s hotel. As huge Hitchcock fans this was very exciting. 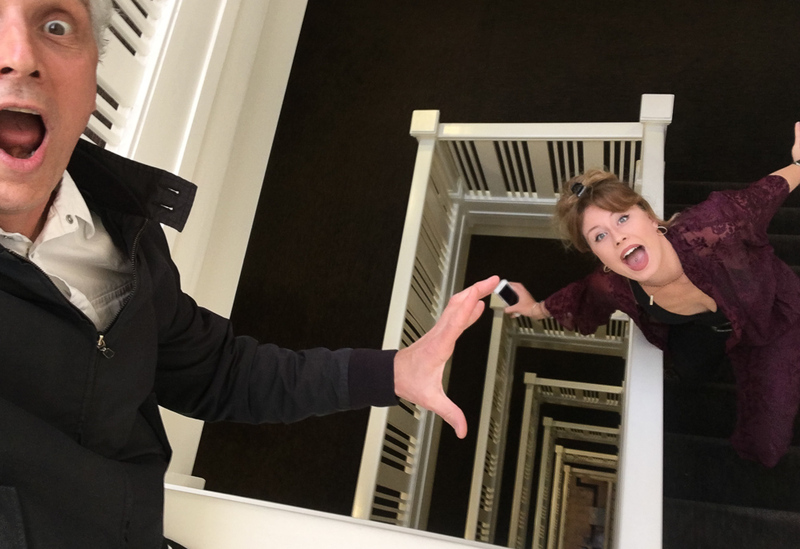 After quite a bit of excited picture taking on the stairwell to mimic the iconic shots we headed out to dinner before collapsing into bed. Who knew squeezing so much in would be so exhausting! But we had an early start to get up and over to catch the ferry to Alcatraz. According to TripAdvisor, taking a trip to Alcatraz Island is the number one activity to do in San Francisco - and now we understand why. Not only is the tour exceptionally informative and emotionally evocative, but the audio guide around the prison takes the insight into the inmates, the guards, the cells and the history of the place to a whole new level. 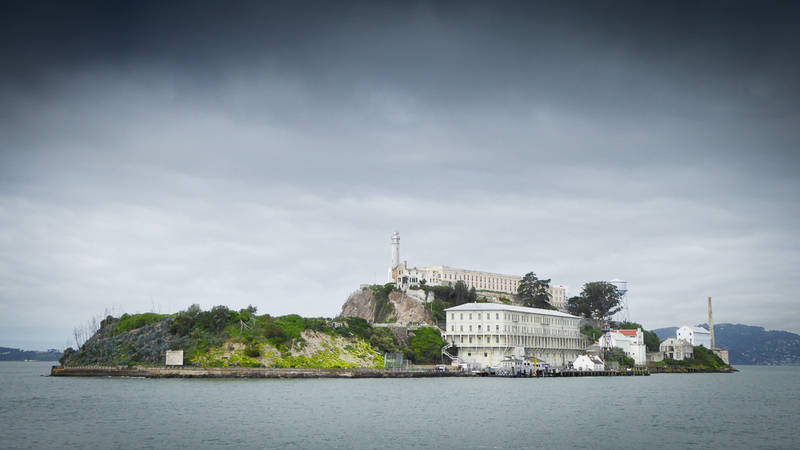 We really do agree that if you’re in San Francisco you have to make the day trip to Alcatraz. 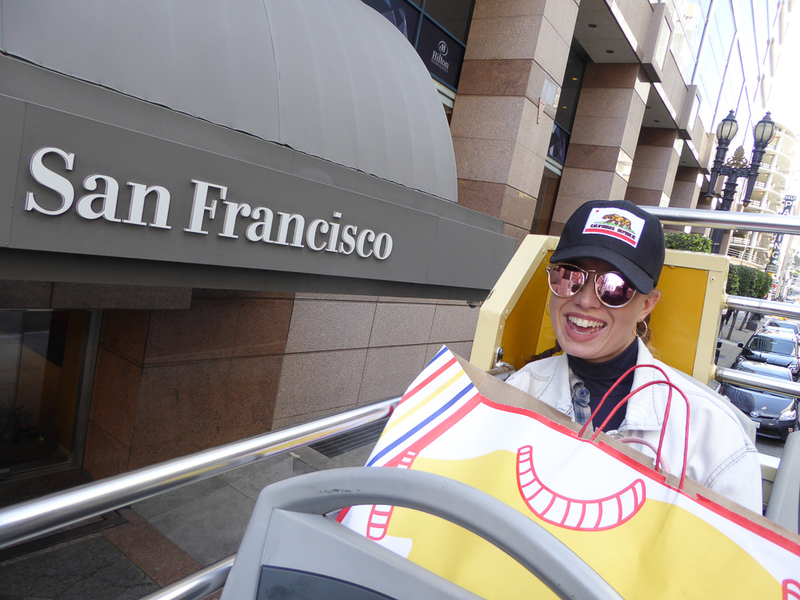 Next we decided to use our GoCity Pass to explore what other things San Francisco had to offer. We made our way towards the famous Fisherman’s Wharf, grabbed a slice of pizza and watched the sea lions sunbathing before jumping onto the hop-on hop-off Big Bus. At approximately 90 minutes the bus does a full loop of the major destinations throughout the city, all narrated by our incredibly knowledgeable tour guide, from Chinatown to The Golden Gate Bridge and everything in between - definitely the best way to see all the sights if you don’t have much time. It was another early night as the following day was the last for dad in San Francisco before heading home. We decided to get up bright and early and head across to the California Academy of Sciences with our GoCity passes to soak up some knowledge - the penguins were a personal favourite! After than I had to wave bye to dad as he flew back to London, leaving me with one final day to explore San Francisco on my own. I decided to use the rest of my GoCity Pass on one of the other must-do attractions: The Cable Car. I was given a tip off that if you join the queue along the route the waiting time is a lot shorter! As such I jumped on a few stops after the departure stop but as it was a sunny Saturday it was still pretty busy, but clutching onto the bar, I hung off the side and it was glorious. Not only did I get a fantastic view of San Francisco but also it was great fun, and finishing off at Fisherman’s Wharf I was able to walk down to the Aquarium for my final tourist stop of the day. The walk through tunnel of San Francisco Bay Aquarium was fascinating, with sharks and stingrays and all the mad looking fish, the stunning set up was enjoyed by kids and parents alike and definitely by me. The aquarium finishes off with a touch pool where I was able to pet a stingray and a wee baby shark before following into the otter room. I have a deep love for otters so suddenly finding myself face to face with a lovely, friendly pair was a real treat to end my day and my time in San Francisco. I jumped back on my cable car to my hostel, packed up my bags and got ready for my flight to New Orleans the next day. Our father/daughter road trip had come to an end, two wonderful weeks of exploring, driving, laughing and drinking coffee that we would never forget. Highway 1 is one the world’s most celebrated routes. Beginning in San Diego, at the southern end of California, the road travels north to beach towns, the bustle and excitement of Los Angeles, through elegant Santa Barbara and surrounding wine country, then north to more beaches and attractions in Carmel, Monterey, and Santa Cruz. Words: Billie Hakansson. Images: Mark Hakansson.